G5 Montec Broadhead available in Pink, in both 85 and 100 grains. Memphis, Mich. – G5® Outdoors, the leading manufacturer in premium archery equipment and design, is excited to announce the release of a custom color broadhead to the Montec family. This popular and successful broadhead will now be available in Pink, in both 85 and 100 grains. The infamous, tough, one-piece all-steel construction will provide a 1” to 1 1/16” cutting diameter and with our new epoxy coloring process, the durable pink finish will hold up shot after shot. The New Pink Montec Broadhead will be in-store starting early April. The New Pink Montec’ s have a MSRP of $41.95. G5® Outdoors L.L.C. is a family owned business established in 2000 and backed by more than 40 years of precision manufacturing experience. G5® strives to provide superior products that are Designed to Hunt™ through precision manufacturing and innovative design. 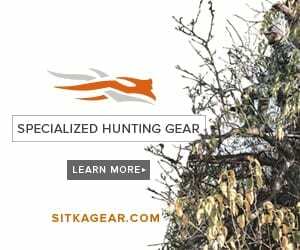 To learn more visit www.g5outdoors.com or call (810) 392-8431.